Politics has been widely discussed in the past few weeks due to both positive and rather controversial issues. We have gathered the most spoken-about ones. opening of current accounts to a manager under a property management contract. With Presidential elections in Ukraine taking place on March 31, Ukrainians have been under severe pressure from the candidates: they address the people from TVs and radios, watch us from billboards and all possible stands; moreover, Ukrainians have even been receiving SMS and automated phone calls calling for selling the policy and make a choice. Sounds easy, doesn’t it? Yet, this year’s elections seem to be the toughest race ever, and taking a look at the candidates it is extremely important to go and vote. Unfortunately, the Ukrainians have not been that proactive in terms of elections and voting since many people think that their voice doesn’t matter and everything’s been decided in advance, hence, the elections is just an official procedure. Indeed, we’ve had some bad history with elections and votes from “dead souls”, however, the country in its current state strives for support from its people to put things into order here. Especially young people, although not many candidates really address the needs of the youth: they shout about higher pensions, subsidies, and nothing about holding youth at home. To be frank, that’s the key thing to be taken into account when choosing the President. Why the elections are important for the IT industry in particular? Easy. 100% important. The industry as one of the key sources of the country’s budget filling is trying to fight off the attempts of politicians to get into it. Unfortunately today many candidates view the IT sector as such that should refill empty state treasury due to its successful turnover ratios. Because of the fact that politicians have not been thinking and caring of the interests of the people that much, them trying to get into the industry is really disturbing: they’ve already latched onto the federal teat and it’s hard to remove them, so now they obviously want to get the “IT teat”. Many specialists claim that the IT industry has grown so much due to the fact that it’s never been touched by the politicians; it’s been developing no matter what and keeping itself at the level that the world today views Ukrainian IT companies as reliable and trustworthy partners to do business with. Although we’ve got war at the east of Ukraine for almost 5 years, the industry not only managed to keep its positions but also develop and grow bigger. Making the right choice will help the IT in a way so it keeps going its path and keeps the specialists at home. At some point, we have to realize that this is us who can bring the difference so that it indeed matters if you go or not. After the February meeting of the President and VP with the industry representatives, the situation seems to have calmed down. 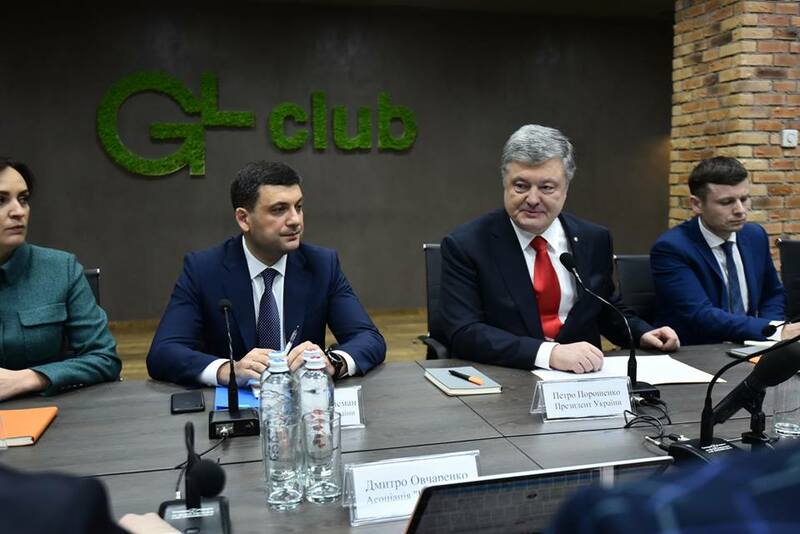 Petro Poroshenko sees IT as “a direction that determines the future and enables young people to unleash their potential here in Ukraine”, therefore the industry needs to be supported not destroyed. Further negotiations have lead to a later draft of the Law that suggests creating a separate, 5th group of individual entrepreneurs with a 10% income tax rate to be paid. The draft was created and developed by the Association IT Ukraine as an analog to controversial amendments from the Ministry of the Social Policy. The companies and the specialists have expressed their voice in social media regarding the situation, and the moods have to ring a bell to authorities prior to the final decision being adopted. The engineers argue on why pay higher taxes if nothing is done to promote and support the industry and see all the success it gained only owing to the fact that for many years the state and its authorities had no influence and didn’t intervene into the industry operation. When the income from IT has started growing, all of a sudden officials and people from different walks of life have somehow thought: “Ow, they earn money. Hmm… they should pay higher taxes”. And, probably, the saddest part is that people really think if the engineers give away more, Ukrainians will get more from the state as subsidies and pensions, etc. Doubtfully, this will be that way. There are only 150K specialists working in IT who managed to place the sector 2nd in the country, so why waving a dead chicken instead of doing something meaningful. Dear officials, you know what: why don’t you stop stealing from the state budget and reduce your expenses, and then we’ll see how great Ukraine can be! To sum up, it’s still too early to buzz around and panic s the elections are still ahead and, as history has it, we have to wait and see what the outcomes will be and make decisions after the President and new government take the power.